This title is the second in a series of recovers of the popular Avatar series. 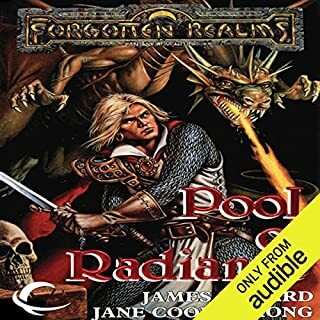 At the time of its original release, this series presented key events that impacted the entire Forgotten Realms world, and the effects of those events are still felt in current novels. This title was originally released under the author's pseudonym, Richard Awlinson. When Elminster, the Old Sage of Shadowdale, is apparently slain, Midnight and Adon stand trial for his murder. 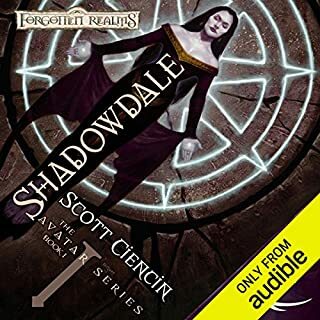 When Bane, god of murder, and his allies seek the lost Tablets of Fate, a slender dark-haired woman is all that stands between Faern and disaster. 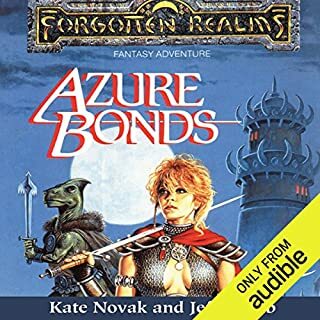 ©1989 TSR, Inc., 2003 Wizards of the Coast LLC (P)2013 Audible, Inc. I like the idea of the fallen gods. Voice actor was ok but not well suited for this story. Sigh.... This book almost works. &quot;Shadowdale&quot; was a complete catastrophe as I spent quite a lot of time on explaining. Sadly, &quot;Tantras&quot; stands in an even worse situation; where &quot;Shadowdale&quot; was simply just a failure from start to finish, &quot;Tantras&quot; stands in a position where the entire first half of the book is completely tainted because of how terrible its predecessor was, now forcing this book to try and clean up the mess it made, but having little to no way of doing so without making an absolute mess out of it. 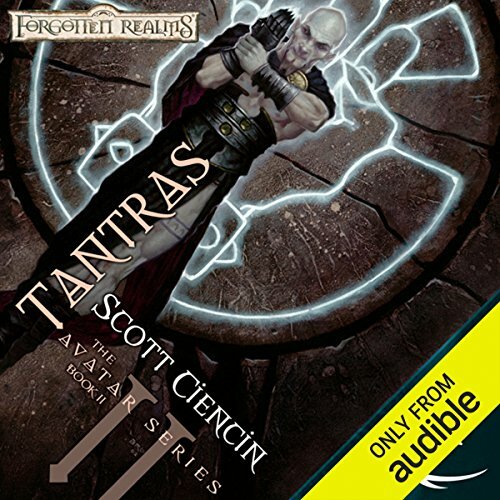 Let me say it outright; every second spend away from the city of Tantras in this book is terrible, every character is an idiot with no ability to think what-so-ever and plot-points drag on at a snail's pace while simultaneously being so predictable that one knows the outcome of the next four chapters ahead of time, ruining the pace even further. Things get A LOT more fun once the characters arrive in Tantras, but by then the damage is already done. What did you like best about Tantras? What did you like least? I like the overall story line. Keep in mind the author did not write the storyline or plot. What could Scott Ciencin have done to make this a more enjoyable book for you? Not sure. It was difficult to stay interested as most of the content seemed unnecessary. Almost felt like the author was trying to make a page count so that this story could be a trilogy. Noting that it ended up being five books, may have been better if book 1 and 2 of the series were one book. What aspect of Nicole Greevy’s performance would you have changed? She is okay. Not bad. I enjoy other readers much more though. Do you think Tantras needs a follow-up book? Why or why not? Yes. Of course I cheat here as all five are already written. I'm listening to the third right now. 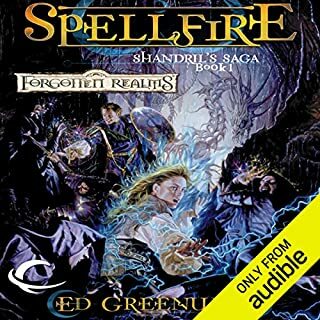 Troy Denning (keep in mind this was his first hit or one of his first; prior to Dark Sun books) saves this series with much better writing and overall plot organization. Meaningless characters like the assassins drop off quickly. Gods become much more intelligent and powerful. The characters stop making the entire plot about their relationship Midnight and Kelemport. Ceric and the Halfling Thief character kind of steal the show; or they are the most interesting characters. 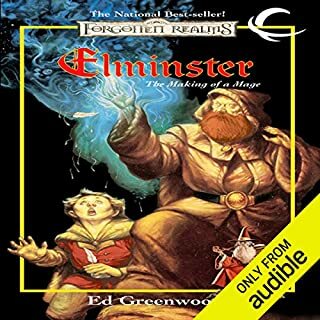 Helps a lot that Elminister is in this story much more. 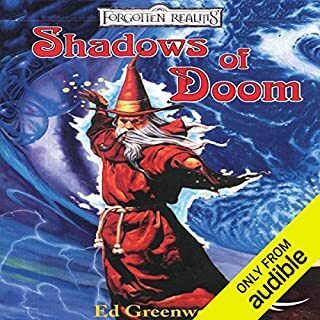 Anyhow, I've read/listened to over 100 Dungeons and Dragons books. This was one of the most frustrating. It was a lot like the Raveloft books that don't deal with Strahd. I'd say these characters aren't anywhere near the favorites. They aren't very intelligent and will step into any trap and be saved through what seems to be Dungeon Master pity. Reads like a 10 to 14 year old role playing group would act. And even thou Troy Denning writes it better, the characters are still not great. Another excellent performance by Nicole Greevy. The narrator really brings the book to life! Can't wait to listen to the remaining books in the series. it took everything I had to make it through. I loved the epic quality, but the power ranger finale was just too much.